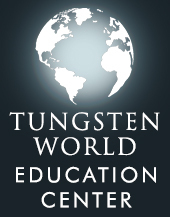 Brea, California, July, 24 2009 (PRweb) Summer is in full swing, and the collection of Tungesten World, one of the leading jewelry stores on the World Wide Web, couldn't be more unique, timeless and classy. 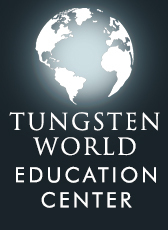 For several years, Tungsten World's collection of style, spirit and exuberance has been standing out with cutting-edge designs, utilizing the finest materials and meticulous workmanship. In order to meet customer demand, Tungsten World is expanding its offerings with new product lines, including numerous exquisite and exciting pieces of jewelry. The new product lines include single and multi-stone tungsten diamond rings, which can be set into white, yellow, or rose gold platinum, palladium, and sterling silver. They also feature new hand woven gold, sterling silver and platinum inlaid rings, key chains and new styles of bracelets as well as never before offered white and black carbon fiber inlaid rings. 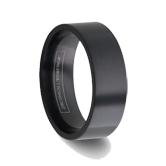 Additionally, TungstenWorld is excited to announce a new line of black tungsten rings that more than doubles the existing selection. 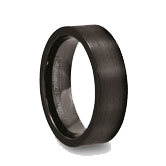 Customers will also appreciate the new "two-toned" rings that are a combination of the weight and scratch resistance of tungsten carbide and the feel and designer look of black ceramic. 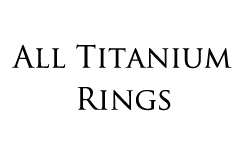 The new product lines will be completely superb, solid style tungsten carbide bands, never before offered white and black carbon fiber inlaid rings with new bracelet styles and a new ring design that is made just for women. To finish off the new product line, TungstenWorld is introducing several tungsten carbide pendants. Choose between the classic small and large sized, high polished "dog tags", "dog tags" with a 2.5mm stone inlaid, the black carbon fiber cross design pendant, the classic "cross" pendant, or the trendy rectangle pendant with bevels and grooves. 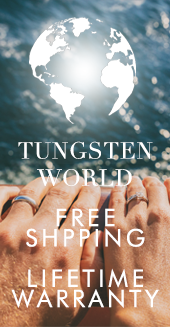 "We have had so much success with our custom diamond and custom inlaid rings, we've decided it was time to include tungsten diamond rings in our product line", said Brett Thomas, COO of TungstenWorld. 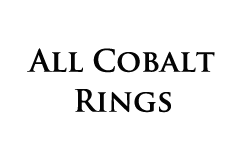 "This will help our customers find and get the perfect diamond or inlaid ring for that special person with fun and ease. The new accessories will be the perfect compliment for him or her or a perfect gift for ‘other' special occasions", he added. 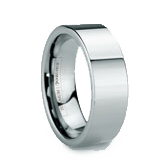 Based in Orange County, California, Tungstenworld.com offers a wide selection of superior quality men's & women's tungsten carbide jewelry products such as tungsten bands, tungsten carbide wedding rings, tungsten rings and wedding bands at the most competitive prices.